Okay, this title may be a bit misleading. I don’t want to imply that this casserole is ‘R’ rated or anything, it’s just a little more sophisticated than the 4-ingredient medley that mom used to make growing up. Although now that I think about it, my mom never made casseroles when I was young, and somehow I feel like I was robbed of this very 70’s food trend. 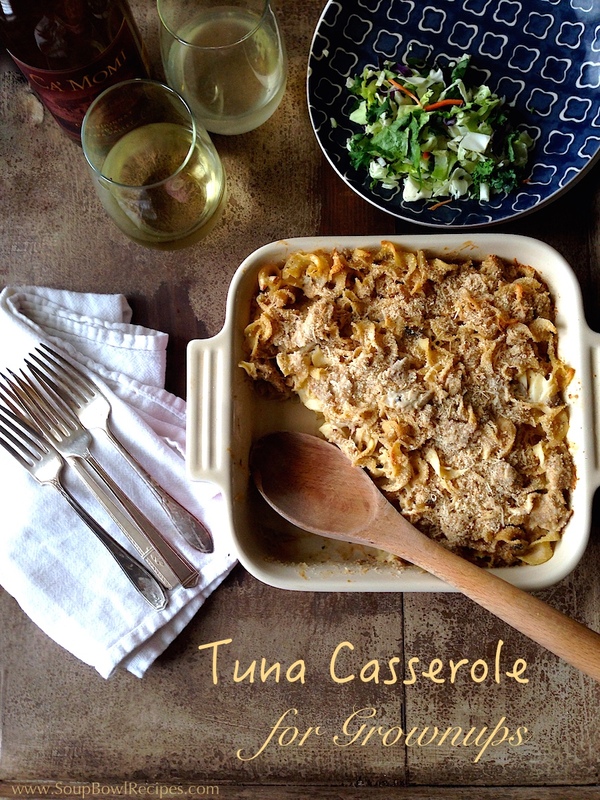 Anyhow, the first time I tried tuna casserole I was in my early (okay, mid)-thirties, and my husband and I had just started dating. We had planned to spend a rainy weekend at home and I desperately wanted to cook for him. Still unsure as to what his food preferences were (other than pizza and beer), I asked him what he was craving most. Much to my bewilderment, he requested tuna casserole. 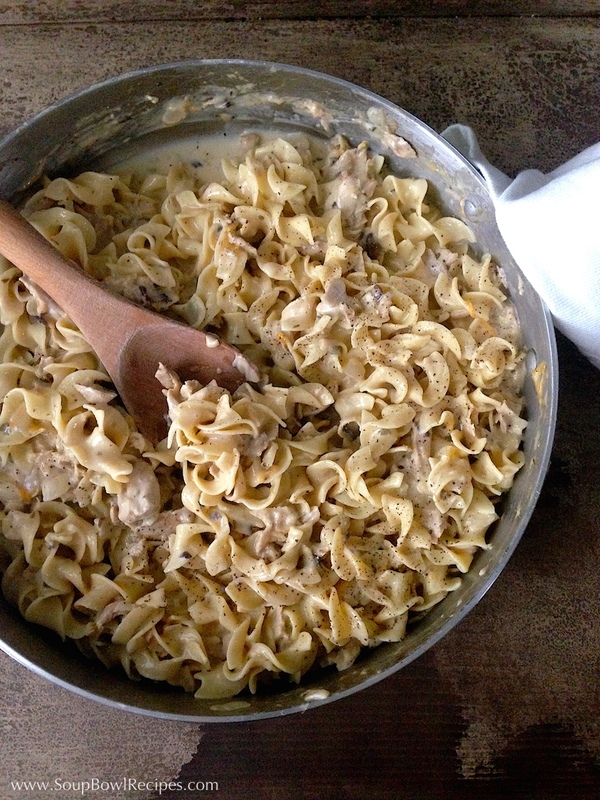 I had never made tuna casserole before, let alone tried it, but I was certain that it was something I could handle. 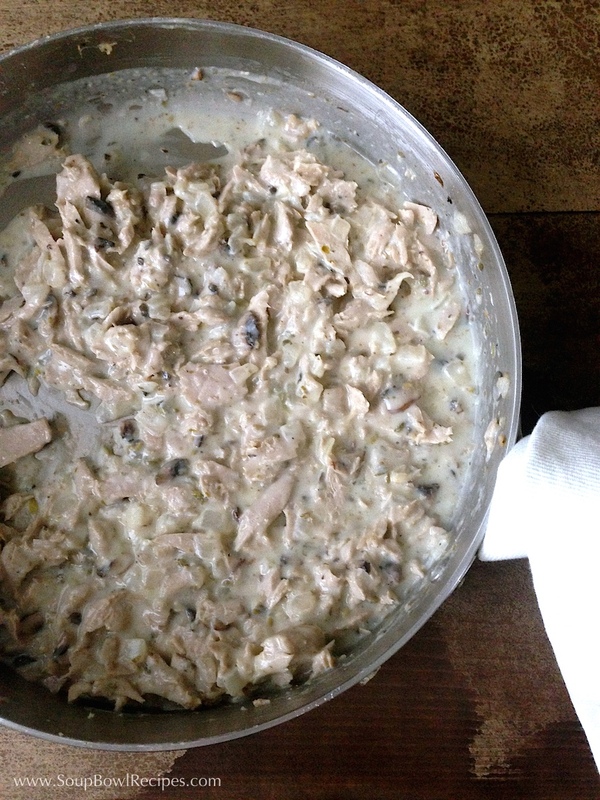 A quick online search turned up recipe after recipe that went something like this: Mix 1 can of tuna with 1 can of cream of mushroom soup, add a cup of shredded cheddar cheese, and top with crumbled Goldfish crackers. Uhhh, nope. Not gonna happen. 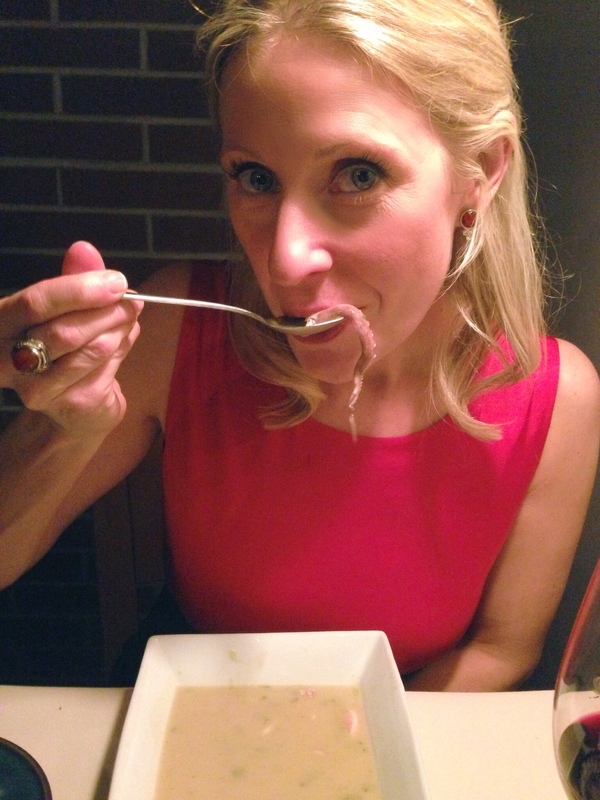 Sorry, honey, I love you, but this is where I draw the line. Instead, I decided to create my own tuna casserole from scratch – and it was good, but it was lacking something that I couldn’t quite put my finger on. Then by chance a few weeks later the tuna gods smiled down on me and we were invited to dinner at my sister-in-law’s house where she made (you guessed it!) tuna casserole. Only instead of canned tuna she used a fresh tuna steak, added chopped capers, and topped the whole thing with breadcrumbs and parmesan cheese. Brilliant! 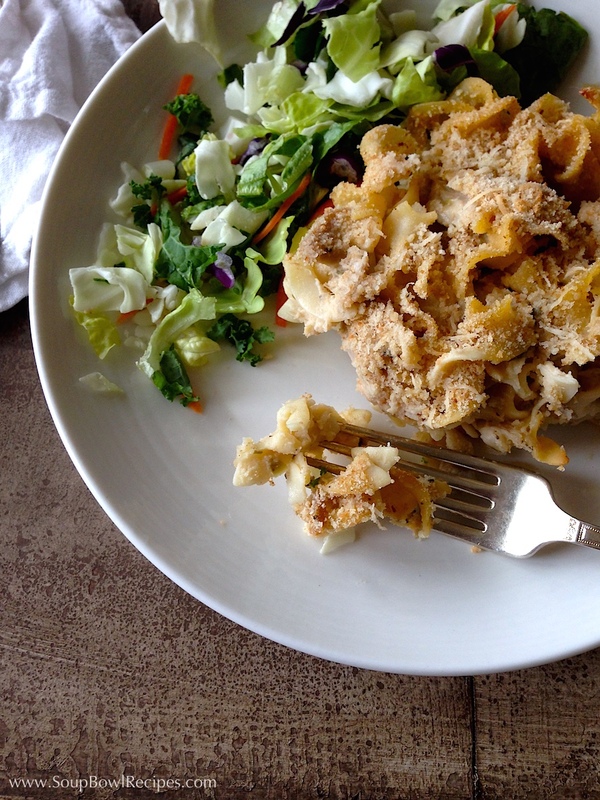 I went home, tweaked my recipe to include these changes, and ended up with a tuna casserole that struck the perfect balance between everyday and gourmet! Preheat oven to 350°F. Cook egg noodles per package instructions, reserving ⅓ cup of cooking liquid. Drain and set aside. 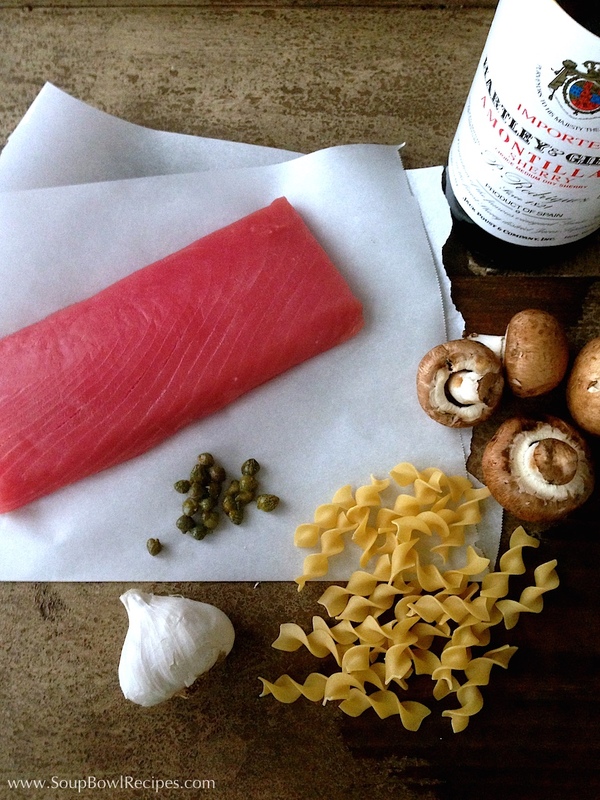 Season tuna steak all over with salt and pepper; set aside. In a large straight-sided skillet, heat 1 Tbsp of oil and butter. Cook over medium-high heat until butter melts and begins to bubble. Add onions, garlic, and mushrooms to the skillet and sauté until they just begin to soften, about 5 minutes. Push vegetables to the outermost edges of the skillet, add remaining Tbsp of oil to the center of the pan and allow to get hot, about 1 minute. Place tuna steak in the center of the pan and sear, undisturbed, until the steak can easily be flipped without sticking to the skillet, about 3-5 minutes. Flip tuna and sear on the second side. 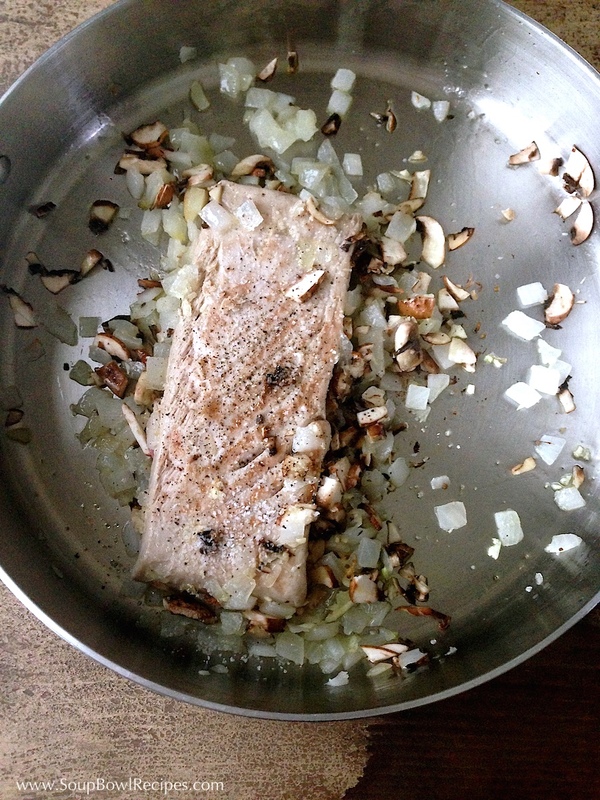 Using a spatula, break tuna into chunks and continue to cook until there are no pink parts left in the center. Add capers and flour and stir until all ingredients are coated. Carefully pour in sherry and stir, scraping up any brown bits sticking to the bottom of the skillet (this is called deglazing the pan). Add milk and stir until mixture thickens. Add cheese and stir until it’s melted and fully incorporated into the tuna mixture. Fold in egg noodles and stir until the pasta is fully coated in sauce. If the mixture is too dry, add reserved pasta cooking liquid, 1 Tbsp at a time until it loosens. Season with salt and pepper. In a small bowl, mix together bread crumbs, parmesan cheese, a pinch of salt, and fresh cracked pepper. 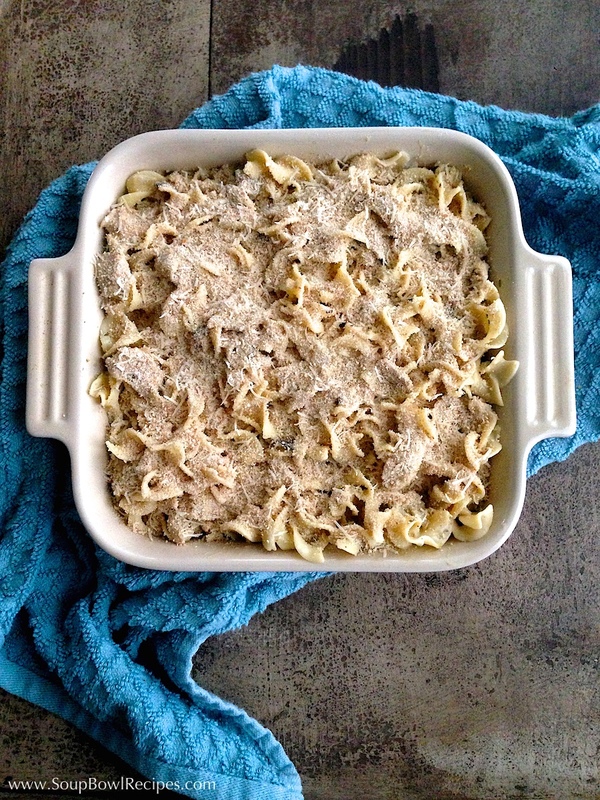 Pour noodle mixture into a 3-quart baking dish and sprinkle with breadcrumb topping, covering evenly. At this point the casserole can either be covered and refrigerated for up to 24-hours or baked for 30 minutes in a preheated oven set to 350°F. After baking, allow casserole to rest for 10 minutes before serving. Sidekick: To make a grownup meal of your tuna casserole, serve it with lightly dressed salad greens and a chilled glass of unoaked Chardonnay or a Beaujolais.